This building at 1205-1213 Wharf Street and 8-10 Bastion Square was built in 1862-1863 by Captain James Murray Reid. 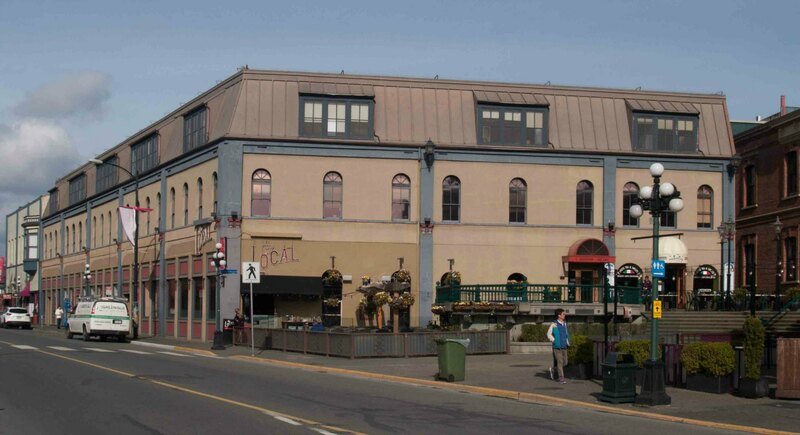 It is listed on the Canadian Register of Historic Places as the Reid Building. Captain James Murray Reid was a sailor with Hudson’s Bay Company when he was appointed to a post at the Hudson’s Bay Company’s Fort Victoria in 1859. 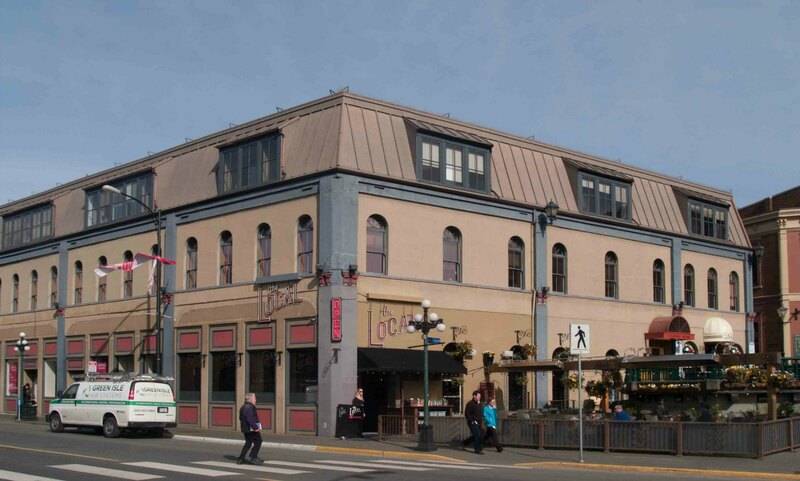 He soon set up a commission and general merchants business with his son in law, William J. MacDonald, which operated from a building on this site. Captain Reid demolished the original building in 1862 and had this building erected in 1862-1863. The building was originally two stories. (Here is a photo of this building circa 1880) A hipped roof was added later but was subsequently replaced by the current third story with its Mansard roof. Captain Reid died in 1868 but his estate retained ownership of the building for decades under the management of the estate’s executor. This building was listed on the Canadian Register of Historic Places, as the Reid Building, in 1975.